Rich with historical relics and full of modern attractions makes the Melaka a popular destination for local and international tourists. Melaka is also a preferred destination for the city goers who are looking for a short break to escape the bustle of the city for a while. If you want to know where exactly the destination is in this historic state, we have compiled a list of 53 interesting places in Melaka so that you will be inspired to plan your holiday to Melaka soon. Caring for a holiday and bringing families and children to relax in the pool and water splash. 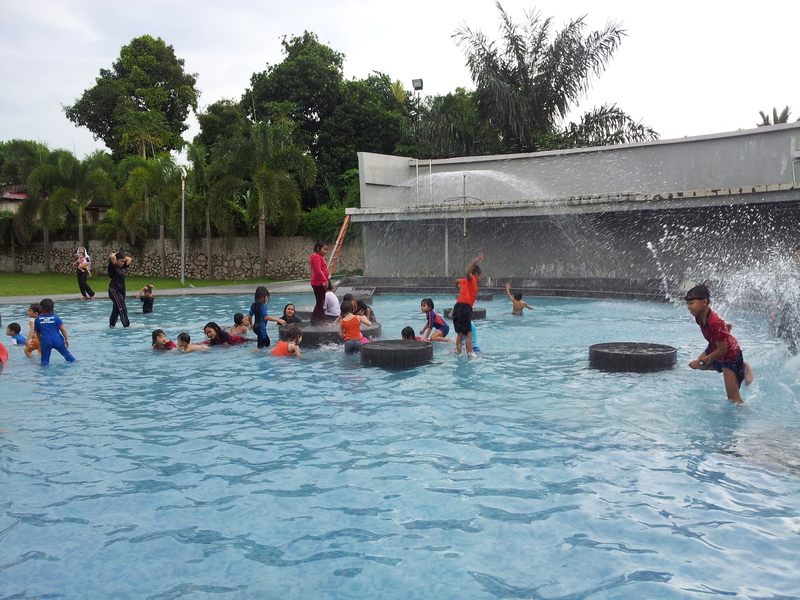 At INDAH Kembara Homestay provides homestay-style accommodation and swimming pool and Mini Splash for children. Want to know how to become a pirate? At Pirate Adventure Melaka Alive you can experience a day in a pirate’s life. Newly opened attraction is rather sophisticated and here you can see simulations of storms and waves using special effects ! Wander over a pirate ship looking for a treasure trove. Freeport A’famosa Outlet Village between the newly opened shopping malls in Melaka and it is not much different from the Johor premium Outlet. Many do not know that there are many international brands that open up sites here like NIKE, Under Armor, Puma, Levis and Sacoor Brothers. If you are looking for the best view of all Melaka City do not forget to climb 42 The Shore Sky Tower , the tallest building in Melaka City. Make sure you are brave because the glass flooring makes you feel like walking over the wind. On top of that you can see the aquarium full of koi fish and there is a special area whose floor is made of strong transparent glass. Here you can see straight down, may not be suitable for those who are but if you are careful to try it out. The attractions that can be found on the Klebang Beach square are quite unique as it is an old bus that has been renovated into a hotel. At Bustel Klebang there are 40 buses of the hotel and each one has a unique design. If you do not want to stop, you can stop for a meal at the bustel restaurant there. The Orang Utan House , opened in 1992, is a private studio of a local painter named Charles Cham. He has successfully exhibited his paintings on international stage in countries such as Portugal, Switzerland, Singapore, Australia and Hong Kong. The large exposed Orang Utan on the edge of the building seems to invite you to go to see the masterpieces of his master. The coastal plain of Klebang was a deserted place and failed to attract people. But after the government’s initiative to rebuild the area and rebranding it reopened with the name of Dataran 1 Malaysia Klebang to attract people back to spend their time. For activities there are many interesting activities such as playing ATV and horse riding. The Submarine Museum is also close to the area. A beach designed to look like a lagoon is being built in this area with the hope that Square 1 Malaysia is the main tourist destination in the state of Melaka. Some people are on vacation to see the beautiful scenery there are some who like to take a beautiful picture if you fall in the second category make sure you take a short walk at the Melaka Reverse House or better known as Upside Down House . Each part of this house is decorated as a typical home of what is on the floor where the roof is. Do you know the name of the oldest mosque in Malaysia? The answer is Kampung Hulu Mosque in Jalan Tukan Emas Melaka. The mosque was completed in 1728 and has an impressive architecture. You can see the influence of the past Melaka in every corner of this mosque. Fill your ambitions to become Submarine crew at the Melaka Submarine Museum . The submarine can be seen in the museum called FS Quessant Agosta 70 and is a former submarine belonging to the French army. It was handed over to the Ministry of Defense and then handed over to the Malacca government to be displayed to the public. With a small fee you can enter and see with your own eyes how the inside of the submarine looks. If you want to see the beauty of Malacca City without traffic and away from the crowds you can take the Melaka River Cruise. The Melaka River Cruise ‘s great advantage is because you can ride day or night. The cruise starts from the Muara Jetty, then it will pause at the Jewel Land Jetty and then turn back to the Jempol Land Jetty where it ends. This is a great way to enjoy the views of Malacca Town. The Stadthuys landmark synonymous with Melaka was completed in 1660 and is believed to be the oldest Dutch government building in Southeast Asia. According to history The Stadthuys is the place of the Dutch government in Melaka in the Dutch colonial period. In 1982 the place was renovated into a Museum showing Malacca history, and the history of Portuguese and British occupation. Across the street from Stadthuys this is Jonker street. Baba Nyonya Heritage This museum was opened in 1985 and showcases the history and culture of the peranakan in the State of Melaka. The combined 3 lots of this terraced property belong to the family of Baba and Nyanya, the family of Chan yand who came to Melaka with the intention of doing business. His descent has managed to preserve much of the original features and furniture of this home as this place is an ideal destination for anyone interested in learning a bit about the role-playing culture. This mosque is built on a man-made island called the island of Melaka and at the time of flooding the mosque is like floating on the sea of ​​Malacca Strait. The Strait Mosque was opened in 2006 and he borrowed his concept and architecture from the Jeddah floating mosque. This mosque architecture is a combination of today’s built middle east and melayu. There are also decorations made of bamboo and wood carvings. This mosque also has a different function of being a traffic light for boats and ships passing through the Malacca Strait on a dark night. At night the mosque is amazing. The Shorea Oceanarium is a new attraction in the marine-themed Melaka. Here you can not see the unique marine life you can also hold aquatic animals such as Fish Yu, Sea Horse, Starfish and so on. Your child can have fun while being rewarded by nature. The museum is open to showcasing the history of Admiral Cheng Ho and tells the story of his exploration across the sea in search of a new world. Here you can see his wisdom and how he drove to Australia and New Zealand on board. In addition to the Cheng Ho Museum there are also exhibitions such as ship model, calligraphy, and traditional music equipment. The museum is close to Jonker Street. Taming Sari Tower is the first Gyro tower in Malaysia and officially opened in 2008. With a height of 110 meters, this rotating strurt can accommodate as many as 80 people and gives visitors a 360 degree panoramic view of Melaka City. As you have come, this tower is named after Hang Tuah keris which has not been found yet until this era. If you look carefully they have tried to build this tower resembling the shape of a dagger. The Kampung Kling mosque was built in 1748 and can be found at Jalan Harmoni. At one glance obviously the influence of java and oriental architecture in every corner. The dome of the mosque is usually round but in this mosque dome is like a pagoda building. The mosque decoration can be said to be more than what we always find in other mosques in our country. In 1999 the mosque was restored by the government and dedicated to historical monuments. You can find the decay of 20 butterfly species at Melaka butterfly garden . The garden is divided into 4 parts namely, butterflies, reptilian parks, koi parks and pictures. The Crocodile Park has long been a tourist destination for Melaka and is open to the public since 1987. The crocodile enclosure is designed to resemble the natural habitat of these animals. Among the crocodile species found here are Crocodile America, Indian Croc Mugger Crocodile, Crocodile Cayman and others. You can also entertain with bonuses here like mammals and reptile houses. Melaka Wonderland Theme Park Resort is one of the water theme parks currently open in our country and can be found in Ayer Keroh Melaka. An interesting fact about this attraction, if calculated the amount of water in all the pools in this water theme park it exceeds 200 million liters. This place is ideal for the whole family as there are 12 unique and different attractions such as Tornado chaser, Kamikaze Race, 1 Big Wave Pool and Adventure Island. A’Famosa Resort has 2 attractive friends’ lands. The first is A’famosa Water Park which is the largest water theme park in Malaysia. Here your kid can play at Kids Adventure Party Pool and you can challenge yourself at the High Speed ​​Slides water slides . The second theme park is safari theme and is named Safari Wonderland. Here you have the opportunity to see the wild animals in Safari Adventure, Monkey Island and Farm House. Just 15 minutes from Melaka Town, Bayou Lagoon Park is a resort with service apartment, water theme park and shopping mall all in the same place. The Masbro Village takes inspiration from the popular colorful house on the Melbourne coast of Australia. If you are looking for a place to stay overnight in Melaka you can stay here as it is a homestay for up to 6 people. It’s always a good idea to see the pictures of our guys swinging in social media while rubbing on Skytrex Melaka . Apart from Ayer Keroh Skytrex it also has branches in Langkawi and Shah Alam. Skytrex is ideal for those who love rugged and challenging activities. Here you can do activities such as flying fox, tree climbing and challenges that will make you feel like a snake. In addition, there are campsites, picnic area team building and more. Do not remember Kuala Lumpur only Bird Park, Malacca there. The Melaka Bird Park can be found in Ayer Keroh near the Melaka Botanical Gardens. Here you can see birds flying freely and if you are lucky enough to have a chance to play with the birds. The Maritime Museum or the Ocean Museum, attracts 20,000 people a month. Here you have the opportunity to see how maritime militarians play an important role in assigning rulers at that time. The main attractions here are the replica of the Flor de la Mar (Flower of the Sea) vessel which has been historically sunk in Sumatra waters. Somewhat thrilled to see the ark with this height of 34 meters. It seems that the treasure is still not under the sea of ​​Sumatra? If you are looking for a place to relax while playing hot water why not hang out in Jasin’s hot spring . You can find the Jasin hot water pool at Kampung Air Panas Bemban. There are other facilities such as children’s playground and parking. Some believe the dangers of hot water can make your skin shine white, if you do not go do not know. Come and see the daily life of the castles at the Malacca Malay Sultanate Museum . Here you can see what lies behind the walls of the palace and learn about the customs of the Malay Sultanate. The castle is built in a traditional way to retain its unique historical features. If you plan your family activities you can spend time with your family at Melaka Zoo . Melaka Zoo is Malaysia’s second largest zoo and houses 215 different species of animals. Among the animals found in the Melaka Zoo is the extinct Sumatran Rhino and the Asian Little Elephants that exist on this earth are also threatened. For those who often come to Melaka they have seen the uniqueness of Klebang Beach . It is a popular destination for tourists visiting Melaka City due to its strategic location close to the City. When you are on the beach it is like you are in the desert with small dunes that add to the uniqueness of this beach. The History and Ethnography Museum is an attraction set in the colonial Stadthuys building. As the name suggests, the Museum of History and Ethnography, the museum is divided into two floors where on the first floor it focuses on the history of the state of Melaka from its earliest existence in 1400 to 1957 when Malaysia achieved independence. Meanwhile, the ethnographic section provides visitors with information about the diversity of cultures and traditions of the communities in this historic city including the Malays, Chinese, Indians, Baba Nyonya, Portuguese and Chitty communities. Among the exhibition collectables that can be seen are the items used in an old wedding ceremony, classical music equipment, a collection of ancient porcelain items, weapons, currencies and more! “Tak Malay lost in the world!” Ever heard? These words came from the mouth of the greatest hero in the archipelago, Hang Tuah. Want to know more about Hang Tuah? You can go to Hang Tuah Center, which is a gallery where you can explore the life and loyalty of Hang Tuah. Not only that, in the Hang Tuah Center complex you can also see the five famous Melaka home houses, Hang Tuah House itself (Hang Tuah Center’s administrative office), Hang Jebat house (kris exhibition), Rumah Hang Kasturi (exhibition traditional clothes), Hang Lekiu House (Intermediary Academy) and Hang Lekir House (Association of Silk Cactus Association of Malaysia Melaka Branch). In every house this hero is also complete with silat court. Located just beside Al Azim Mosque, the mosque of Melaka, the Melaka Al-Quran Museum is an important museum to visit to further enhance the understanding of the holy book of Islam. Who is unhappy with the scripture that was revealed thousands of years ago? Set in a 2-storey building, the first floor is packed with a variety of beautiful and eye-catching al-Quran collections. Calligraphy is also featured around the museum. You can also read various information related to the decline of the Qur’anic verse, the history of Al-Quran development, the recitation of Quran recitations and more. There are so many things you can learn from here. If it is the name of the Customs Museum, surely you can imagine the structure of this museum? Housed in a traditional Malay architecture, this museum is the location where you and your family can understand in greater detail the culture and lifestyle of ancestors in ancient times. Among the exhibits here are antique items for personal jewelery, porcelain, cinnamon for wedding, equipment used in customs, pictures of local figures, ancient weapons and much more. Ever about a Chinese princess who married the Melaka Sultan? The story of this marriage is related to Admiral Cheng Ho. If you visit Cheng Ho Gallery, you can find out how Cheng Ho can reach Melaka land. If you want to know, Cheng Ho is a famous sailor who has made many cruises to the Middle East, Africa and Southeast Asia in around 1405 to 1433. He has brought Princess Hang Li Po to marry the Sultan of Melaka around the middle of the 15th century. From here, the Baba Nyonya community started in Malacca. Among the items exhibited here are ship replicas, collection of books on Admiral Cheng Ho, porcelain goods and more! Wondering what is the best way to enjoy Melaka when the night begins? This is what you do not want to lose! The Melaka River Cruise is an activity that can take you to see Melaka from different angles, along the Melaka River. From the top of the boats, you and your family can see the beauty of colorful lights that stunning the souls emanating from buildings along the river. If you do not have time to go here at night, the sights that are served in the eyes of the day are also no less. At this time, you can see the splendor of classical buildings around Melaka more clearly. The time taken for this cruise session is about 30 to 35 minutes. Anything is advisable to not sit in the front too far in the ship if you do not want the river to splash on the clothes, and even more expensive cameras! Before you go here also do not forget to visit their website to check your operating hours because they are sometimes closed on holidays. Sungai Udang Recreational Forest is a natural attraction of lowland dipterocarp forest with a total area of ​​335 hectares. This is where you can enjoy 100% fresh air oxygen without any pollution while doing a variety of exciting activities that are ideal for camping, bird watching, cross-country trails and more! For your knowledge, this forest is divided into 4 different zones, ie Zone 1 complete with recreational facilities, Zone 2 which is often used as camping site and group activity, Zone 3 divided into two parts namely “Nature Interactive Area” and “General Public Interpretation” , as well as Zone 4 rich in various species of flora and fauna. The Malaysian Architecture Museum is an attraction set in a red 2-storey building, an iconic color in Melaka. This classic building was originally an administrative building during the Dutch colonies around the 18th century. The museum has 3 main gallery sections where you can learn a lot of historical info as well as the development of building design in Malaysia. By visiting the Malaysian Architecture Museum, you can find out many new things about architecture that are usually influenced by various things like religion, myth, nature and others. In addition to design, gallery space displaying wooden motives is also available here. You and your family will be delighted to see the subtlety of fine wood carving. When you’re satisfied with the results, you can continue to see the gallery space that shows the carpentry used in the past. Who says that free is not best? The museum is a decent, very crowded with information even though it does not charge entrance fees. Is this Melaka quite rich with a variety of museums, sums, historical cities? This is another superb best museum in Melaka! The Malacca Customs Museum is a museum where you can learn about customs history, their successful operations and more! But the real attraction of this museum is the exhibition of various goods from the customs side of the customs. If you’ve been hijacked, there must be a reason why? It’s just a one-story museum, but the exhibits are solid with a variety of interesting things to see. The museum is largely divided into sections, historical galleries, customs equipment galleries that have been used some time ago, hijacked galleries of galleries, animal skin loot, statues, drugs and much more loss if not seen! Specifically, in the customs equipment gallery, you can see a lot of antiques over the past 50 to 70s like typewriters, compasses, binoculars, classic bikes and more. For booty, it is like a keris that contains al-quran verses, carved guns, real turtle sculptures, high-powered vehicles and more! Glad stories, many unique things that do not think the deck is here! The location is adjacent to the Melaka River Cruise Pier as well as the Ocean Museum. Already satisfied to eat the breeze around the city, to cool eyes and take fresh air, you can head to Tanjung Bidara Beach. A variety of exciting activities can be done here and these include bathing and photographic. You and your family can calm down as there is a Malaysian Civil Defense Department (JPAM) Coastal Control Tower which always controls coastal security. For photographic activities, it is best to illustrate here because the surrounding area is decorated with the landscape of the fishing village. As for the facilities available here, there are dining outlets, public toilets, bathrooms, children’s playgrounds and parking places. Who does not like to eat roti roti? Even if you do not like roti roti, you can try Roti Canai Kayu Arang near Kampung Bakar Batu, you will start to fetch this food. What’s so special about Roti Canai Kayu Arang? The delicious canai bread served in this store is due to the use of charcoal to cook its canned bread. Do not use oil! Refined with deep condensed milk, sure to order again! However, due to the different levels of baking, you have to wait a long time for the order ready, but believe me, your wait is worth it! In addition to regular breads, you can also try the Nachos Bread that makes the store viral! Another recipe you can try is the Bread Paste ‘Dangdut’ (egg bread), Steamed Fat Rice and more! For those of you who do not know, Roti Canai Kayu Arang has been included in the Plan for Dining Find! As you stroll along Jalan Kota, Melaka, the Melaka Islamic Museum, your eyes will definitely see a red roof building. The building was originally used as the office of the Melaka-MAIM Islamic Religious Council. But now it belongs to the Melaka Islamic Museum which has an important function in preserving and preserving various collections related to Islam. Among the exhibits here is the earliest replica of al-quran, the replica of the Prophet’s sword and also the history of the mosque. Are you a literary lover? Do not forget to set foot in the Literary Museum located on Jalan Kota’s. The purpose of this museum is to preserve all the masterpieces of the Malay writings so as not to be overwhelmed by time. The museum, which was inaugurated in 1984, also brought together a collection of original manuscripts of original manuscripts from around the world. Not only keeps the works of folklore, and other modern Malay literature, this museum also provides special space for traditional writing such as nazam, poetry, pantun, gurindam and others. For your knowledge, this museum is divided into 3 parts namely the current historical space of the development, the section explaining how Melaka played a role in historical development, as well as a gallery devoted to national literary, A. Samad Said. The Straits Jewelery Museum is housed in a building that has long been a heritage of Baba Nyonya. As soon as you step into this museum building you will be presented with a unique interior design that showcases Baba Nyonya culture. Not only are antique furniture items in this museum, but also jewelery which is very clear of its Peranakan touch. In addition, antique equipment used to produce jewelery can also be viewed more closely in the museum. The time taken to be satisfied is that all that is offered within the Straits Jewelery Museum is about 45 minutes and maybe up to 1 hour if you want to know more details. Mini Malaysia Asean Cultural Park is a cultural park which is a site to showcase the diversity of traditional home designs from 13 states in Malaysia such as Perlis timbers, Perak, Selangor, Negeri Sembilan, Melaka, Kedah and many more. As the name implies, this area is not only reserved for Malaysian cottage houses, but also from other Asian regions such as Thailand, Singapore, Indonesia and many more. Interestingly, in the ‘Mini Village’ house, you and your family can try out various cultural activities such as traditional games, traditional spa treatments, traditional costumes, cooking, batik and more! Not only that, other attractions available here are free swimming pools, carousel games, roller coasters and more! Not only famous Laksamana Hang Tuah, his brother Hang Jebat is also quite fascinated in Malacca. According to the story, Hang Jebat was killed by Hang Tuah himself in a fight that lasted 3 days 3 nights. Hang Jebat was stabbed by Hang Tuah’s Taming Sari keris who eventually led to his death. Hang Jebat was later buried in the old town of Melaka near Jonker Street. Not far from A Famosa Town is an attractive and complete museum with a rich collection of stunning collections from the Melaka Stamp Museum . Once you reach the museum area, you will first want to enjoy the classic art of inspiration with influences from Europe and local. The museum building is said to have been built by local Chinese and Malay workers. The building was originally built in the Dutch time as their home, its function as a residence retained during the arrival of the British. When you step into the museum, you will find plenty of info about the world of writing and stamps. Info about where the mailing or posting starts and how it starts can be found in this museum. Continuing to walk through the museum, you will see a collection of classic stamp collections from around the 50s to 2003. Not only that, the old equipment used in the process of posting sometime can also be seen in this museum. Villa Sentosa is a traditional house located within the Village of Morten on the banks of the Melaka River. If you want to know, in the Morten Village there are more than 50 old Malay-built zink houses, but from so many homes, Villa Sentosa is the most beautiful and attractive to see. This villa is a Malay Living Museum that can make you feel as if in the past. The interior of the villa is filled with antique furniture, old items on the table and classic pictures. If you have a keen interest in the history of Hang Tuah, do not miss the opportunity to visit the well that Hang Tuah is excavated by itself. This Hang Tuah well is located in the village where Hang Tuah was born, Kampung Duyong. Many interesting things related to this cave have been hovering around in the surrounding communities. Firstly, some say the size of the well is growing from time to time. The second interesting belief is that the “certain” people can see the real appearance of this cis that has turned into white crocodiles. Another mysterious thing related to this well is how the water inside the well is never dry despite the dry season. Mahkota Parade commenced its operations in 1994 and now houses nearly 200 stores ranging from international brands, food and entertainment. The mall is complete with over 1000 parking spaces and is surrounded by Malaca’s fascinating attractions such as the City of A Famosa, St. Paul’s Hil and other shopping malls, Dataran Pahlawan mall. What do you want to do? Want to buy essential items? There is Giant Hypermarkat. Have fun? You can watch the latest movie in the movie theater. Nak shopping? Mahkota Parade also owns Parkson, The Body Shop and more! Dah sweat walking around Melaka, it’s time your family can cool down in the aircond mall. Jonker Walk is a must visit destination when traveling to Melaka later. Jonker Walk is known for its popular shopping in Melaka City. If you are lazy to walk you can ride the tricycles filled with lights. If you are looking for a shop selling souvenirs you will definitely find it here. The city of A Famosa is classified as the closing of this post because it has long been known as the most popular landmark in Melaka. Historically it was founded by the Portuguese colonizers as their defense fortress in Melaka. In 1807 most of the buildings were demolished and the remainder was part of the guerrilla door and Portade Santiago. What can now be seen is only a small part of the original fortress. This is a must-visit attraction as you travel to Melaka later as it is an important moment in our history. It’s been a long list of interesting places in Melaka and I hope it helps you when you’re there. most of the holiday satisfaction comes from the lodge while on holiday destination. Below we provide some accommodation recommendations to give you a little overview of the hotel choices offered in Melaka. We at INDAH Kembara Homestay Apartment Hostel Melaka provides affordable accommodation for the Apartment and Hostel at Melaka City and Cakung Melaka. We have 2 dormitories each with 16 – 18 air conditioned persons. Also includes our apartment capacity of 4 units of Homestay Apartment 3 Rooms, 6 units of Homestay Apartment 2 Rooms and 2 units of Apartment Studio which all can accommodate maximum capacity of up to 3 buses (120 persons). We also have 5 units of Homestay in Melaka City. Among the exciting facilities available here are bicycle rental, van shuttle and wifi access. The location is quite strategic, Location INDAH Kembara Homestay is located in the heart of Melaka City and is very close to the TOP-SPOT tourist and dining location in Melaka. Hotel Arissa is a hotel offering 69 elegantly furnished rooms. From the guest rooms you can also enjoy the scenic views of the surrounding area around Melaka. The location is quite strategic, located in the middle of Melaka, at Jalan Pelanduk Putih. To reach area attractions such as Dataran Pahlawan Mall, Mahkota Parade Mall and The Stadhuys, the time taken is only about 10 minutes from the hotel. The Rucksack Caratel – Jonker Wing is located in the heart of this historic city. Not only can you attract the crowds in terms of location, you will also be tempted by its unique interior decoration where the designer combines all the key elements of Melaka such as Portuguese, Dutch and Peranakan influences. Not only that, the breakfast provided at the hotel is also very satisfying as it is rich in a variety of tasty dishes. Ibis Melaka is a modern accommodation that will surely make your eyes fascinated by the deck because of its intricate interiors. When you see the perfection of its interior design, it is surprised by the charges. Reasonably priced for a luxurious, modern look. Interesting facilities include free wifi access and a fitness center. Its location is just 700 meters from Porta de Santiago attractions and 1 mile from Fort St John. If you are looking for a snack while resting in the room, the 24-hour convenience store is just a few steps from the hotel. If you are a lover of history, what if you stay at the 1825 Gallery Hotel. Listen to his name just got a sense of classic aura? Not just the name, this hotel building has been around for decades where it was originally used as a warehouse to store flour that came from outside the country. Its strategic location is on the river bank, making it an active warehouse used once. As soon as you step inside the hotel, you can see the details of the decor and draw the eyes. Not only that, the hotel also offers beautiful views around Melaka from the rooms. It is a pleasure to see your eyes if staying at this hotel. For entertainment, you can use super fast wifi facilities and a wide variety of tv shows. Novotel Melaka is a 4-star hotel with 351 accommodations offering stunning views of the Straits of Malacca and the surrounding area of ​​Malacca. Rooms offered at this hotel are spacious and beautifully decorated with a modern concept. After a restful stay in the room, you can use the hotel’s many exciting facilities such as a spacious swimming pool, sauna and fitness center. For those of you who take a child, the hotel also provides a special space for them to enjoy. Other facilities include free wifi and 42-inch LED TV for entertainment as well as relaxing after a pleasant walk around Melaka. Many of the charming lodgings offered at Melaka’s. However, if you want a stay that will enhance your enjoyment in Melaka, you can read our article about 23 Interesting Hotels in Melaka . If you are planning a budget holiday with your family or a road trip with your friends you can refer to the 21 cheap hotelentry in Melaka which will definitely give you the best value for your money. If you prefer accommodation located in the heart of Melaka, please read our review of 11 budget hotels in Bandar Hilir Melaka . But, if you are planning to travel with a big family or gang, you can read our article about Homestay in Melaka for a comfortable stay. If you want to come to Melaka with your family and children, you can choose any accommodation listed in our article, 12 Resort in Melaka for a comfortable stay and offering lots of interesting activities to do with children. This list is still not enough? You can visit booking.com for the ultimate in choice of the ultimate in accommodation. I hope the information listed above will help you make the best choice during the holidays. Whatever you choose I hope you are happy to travel to Melaka and do not forget to bring home sweet memories.